Home Projects – Right Tree, Wrong Place? 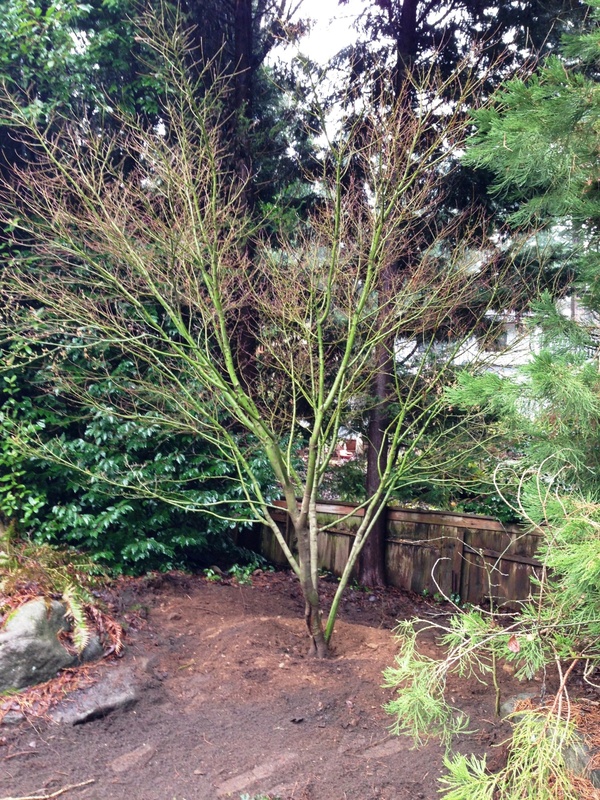 When our aunt gave us a cute little Japanese maple, we had no idea of what it would grow up to be. So we tucked it in the planting bed outside our dining room. Years later, with it's top branches brushing the eaves it had definitely outgrown its space! Procrastinators that we are, it took awhile to actually get around to moving it to a more appropriate space. 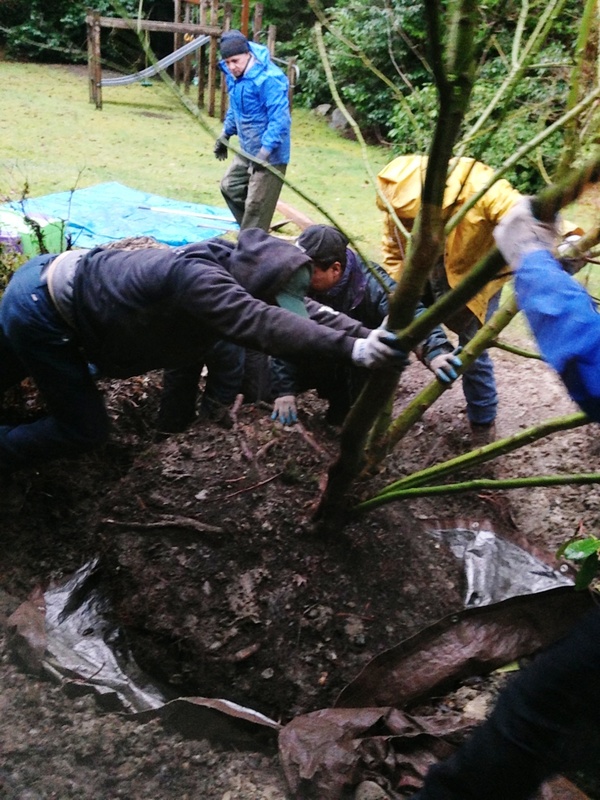 First of all, we needed to make a space by removing a dying shrub. Then, we were in the wrong season (spring). So, it wasn’t until late fall of 2012 that we actually got around to the job. We had our trusty landscape company tackle the job – which was a little more difficult than anticipated due to a recent heavy rain, our lovely clay soil and the large size the cute little sapling had grown into. But Reyes Landscaping did a great job. The big, heavy root ball. Dragging to the new spot. Happy tree! Need a quote for your landscaping job? 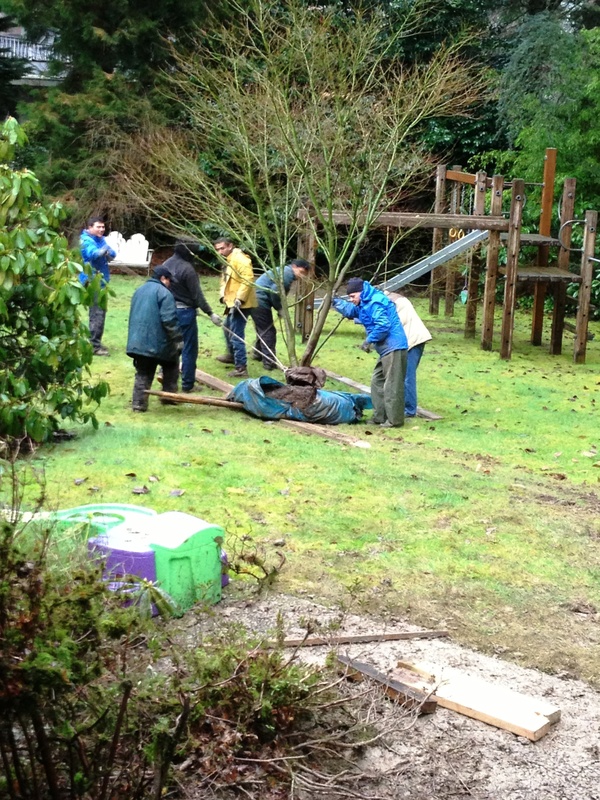 Contact Rodolfo Reyes at Reyes Landscaping, reyes.rodolfo@hotmail.com, 425-823- 0512.